In the mood for a cool treat? 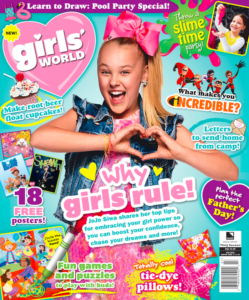 My new short story “Heat Waves and Cool Treats” is in the July issue of Girls’ World. It also includes a super easy recipe for making ice cream. Yum! 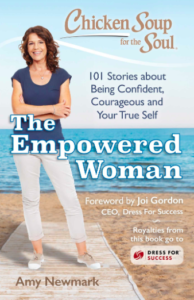 My personal essay “Winning On and Off the Court” is now available in the just-released anthology of Chicken Soup for the Soul: The Empowered Woman! 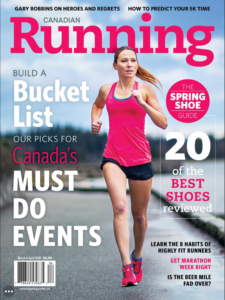 Check out my latest published essay “The Librarian Who Wouldn’t Quit” in the March/April issue of Canadian Running! 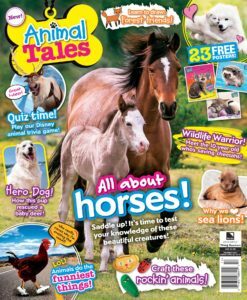 Two more pieces published in the last few days: “The Mystery of the Missing Schoolwork” in the children’s magazine Animal Tales and “Dare to Be Bold” in the Funds for Writers newsletter. Looking forward to the holidays so I can plan more writing challenges for the new year! 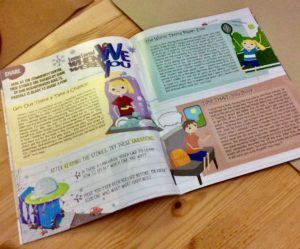 It’s been a good week: Sold an article about makerspaces to the SCBWI Bulletin and had three short stories published in the winter issue of Bazoof magazine. Love the illustrations! Started the month with another article accepted by Funds for Writers. I will also be busy with the English revision of a trilingual visual dictionary for children. Happy days ahead! I’m still available to work with new clients! If you need content for your blog, newsletter, website, and anything word-wise or would like help with translation (French/English), just get in touch with me at pascaleduguay@hotmail.com. Just sold a short story to the American magazine Animal Tales! It should be out toward the end of the year. Today I finished and sent off a short story involving a bunch of fairy tale characters. It was my first time trying out this form of writing, and I had lots of fun with it. I should do this more often!